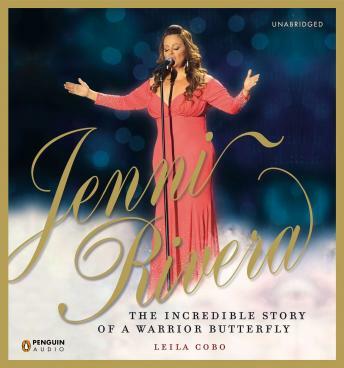 In Jenni Rivera: The Incredible Story of a Warrior Butterfly, Leila Cobo—pianist, TV host, and Executive Director for Latino content and programming at Billboard—brings us Jenni Rivera’s intimate and moving biography, reflecting on the party girl, the elegant woman, the great diva, the friend, the mother, and the grandmother. Discover the humble beginnings of Jenni’s life and career, as well as the emotional and sometimes turbulent moments that defined her persona and spirit. Like a candle blown out before her time, we not only lost the “Unforgettable One,” the “Queen of Queens,” the “Warrior Butterfly,” we also lost a brave woman who fearlessly faced life’s ups and downs to attain the happiness she so fervently wanted for herself and her family. With Jenni’s departure, we celebrate a shining legacy that will forever reverberate within every note of her voice.